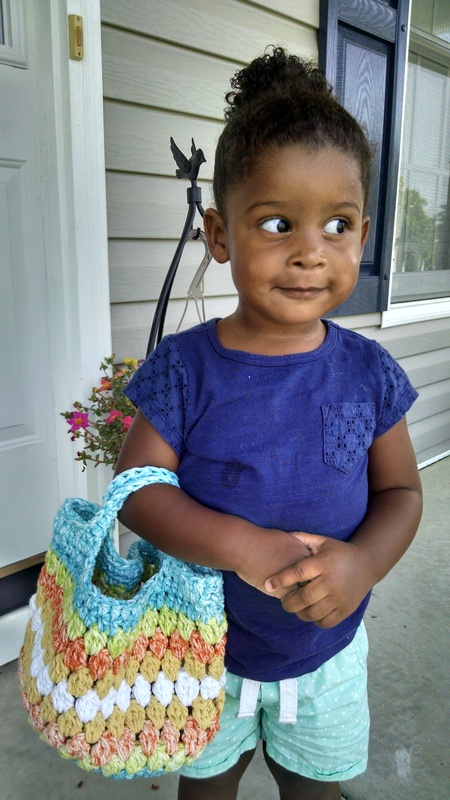 This little angel is modeling our new tote bag for Nesting By Robin. Two things happened when we were finished with the photography session. First, she decided that this small tote belongs to her, (thank goodness there is more than one available). Second, the photos came out so cute, I had to post more than one. 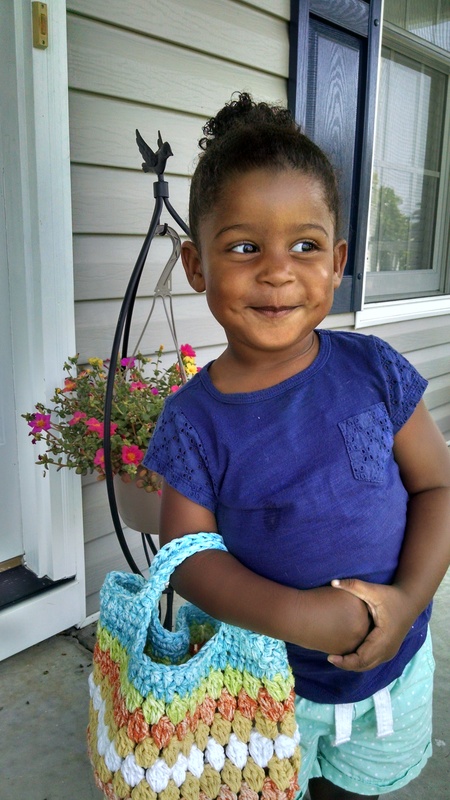 Love, love, love those dimples! Previous Post Happy July 4th USA!